I have always contended that there are opportunities if you look hard enough. 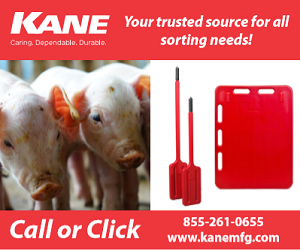 This would be a great time to trade those old sows in for new gilts and not cost you a dime. Everyone can do the math, but at these levels I would be changing over a lot of those breeding animals. This price inversion of sows to butchers will not last forever, it never has and never will. Taking advantage of poor markets (butcher hogs) can be to your advantage. 2019 summer futures have been working higher. That should continue as we watch what happens to African Swine Fever in China. ASF stories out of China are updated and changing every day. Last Sunday a Chinese feed company announced that they found African Swine Fever in some feed samples. Their stock fell 6%. Miraculously the next day it was announced that their test was wrong. I bet heads rolled on that one….literally. It is nearly impossible to get an honest story out of China. Never listen to what China says, but rather watch what they do. To get a real handle on how African Swine Fever is affecting China’s Pork Industry we need to watch their imports. We also need to see how quickly they are willing to come to the negotiation table with President Trump. I am surmising that the Chinese Government is not releasing information about all the cases of AFS. I also suspect that many cases are not getting reported at all to the Chinese government. China’s appetite for pork will bring imports in if their own supply cannot provide for the demand. It may not come from the U.S. but it will come from somewhere. The Ministry of Agriculture has confirmed the presence of ASF within Sichuan Province, the region with the highest swine production and the country’s greatest rate of consumption. Thus far over 60 incidences of ASF in 18 provinces have been reported as the Swine Industry grapples with how to deal with the problem. China’s efforts to stem the spread of African swine fever were dealt yet another blow when the agricultural ministry confirmed the first case in a wild boar found dead in northeastern China’s Jilin province, according to the Ministry of Agriculture and Rural Affairs. 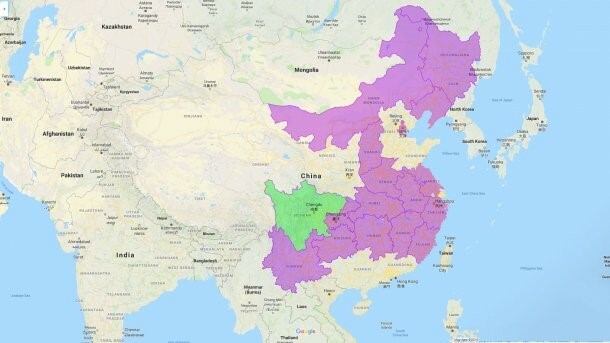 To combat the disease, movement of pigs within affected areas are restricted causing markets disruptions and volatility in pork prices from one province to another. However, the overall average price of pork in China remains relatively stable at 13.92 CNY/KG or $0.91 per pound. Adding to these concerns, major Chinese animal feed maker, Tangrenshen Group, reported on November 1st., that feed produced in one of their units had been contaminated with African Swine Fever. This is the first reported case of contamination of feed supplies in China increasing the concerns for pig farmers trying to avoid the disease. It also raises the economic pressure on a Pork Industry already struggling to stem the rapid spread of African Swine Fever, which has now reached most of the country’s pig-farming regions. China produces over 500 million pigs a year, or about half of the world’s total. Recently Genesus completed the 9th delivery of a 747 load of Genesus Registered Purebreds to Ariant Company of Chelyabinsk Russia. A city located 1,000 miles East of Moscow in the Ural Region. Ariant Company is a fully integrated production marketing system with 55,000 sows, cropland, feed mills, packing plant, processing and 700 retail stores. Ariant uses Genesus Durocs, Yorkshire and Landrace, The Genesus pork they produce is a major draw in their own retail store, as it is noted for its excellent taste and flavor. Genesus has the largest registered pure herd in the world and combines these pedigrees with an intensive genomically driven genetic program. Genesus is the largest swine exporter from North America. Next articleIs pig poop the next fracking? Smithfield Foods about to put energy goals to the test.